Hi in this video I’m going to show you how to make this stunning website ..
And just a pleasure to use meaning your audience is going to get an amazing first impression of your brand and they’ll really enjoy using it! The whole process is so simple because you don’t need to have any technical skills at all – by simply using copy and paste and by dragging and dropping the different elements of your website together, you’ll be up and running pretty quick..
It’s going to be a fun learning adventure and both you and your audience are going to love it! I’m going to walk you through this entire process step by step…so before we dive right in, let me walk you through exactly what you’re going to be leaning and building… so you have a clear mental picture of your new website.. This website is built using something called WordPress which is a breeze to use and is one of the best content management systems out there. You can see straight off the bat that the design of this website is not only slick, but it’s really professional – no one will believe you made it yourself! I’ve based the design of this website on the kinds of websites big organizations and fortune 500 companies like CNN and Apple have created, and I’ve put it together in one clean, crisp site that’s super easy and intuitive to use for your audience so they have a great experience with your brand online – plus it looks stunning, and is definitely something you’ll be proud of! These companies spend tens of thousands of dollars on their website, but you’ll be able to build it for next to nothing, saving you a ton of money in development costs and allowing you to focus on serving your audience without any stress or hassle. So if you’re a small business or entrepreneur, then keep watching because I’m going to guide you through the process and show you how to add the key ingredients to your site which will essentially magnetize you to your audience and help to make you money! So this is your homepage and you can see how clean and sharp this looks – its beautiful and I’ll show you how to add lots of custom images and text right here to make your site a visual masterpiece and really engage your audience. Everything you see on this home page is fully customizable including the colors – so you’ll be able to create a site that is fully in line with your business and your vision. Now let’s scroll to this section here which is the services section.. This is your opportunity to talk about how you can really benefit your audience.. Again, this boils down to how you speak to the pain points and desires of your target market. Your services section is your opportunity to immediately connect with the needs of your audience by showcasing how you solve their biggest problems. If I scroll down and show you this section here which is the Call to Action – a call to action is also known as a CTA and is exactly what it means – it’s literally, a “call” to take an “action.” This is where you’re giving away a valuable piece of content such as consultation, a coupon, an ebook, or even a webinar etc in return for their email address so you can start to grow your base of potential customers. It’s important because you don’t want people to just look around your site and either do nothing or leave – you want them to, consume and engage with your material because it’s your chance to show them the value you can provide. So for example our call to action at Websites Made Easy is.. CREATE A PROFITABLE WEBSITE WITH OUR SIGNATURE 3 STEP WTC SYSTEM.. Get started now! By clicking get started now they are sent to a email contact form.. This is Game Changing! Because now you have a new website subscriber and can continue to build a relationship through email! And I will show you how to get this all setup soon! Having a call to action allows you to deeply connect with a hungry crowd of subscribers and buyers eager to buy your products and services because you’ve demonstrated you can provide awesome value – you can add a call to action on any page on your website so your audience can connect with you instantly without having to click around your site trying to find it – and in this tutorial, I’ll show you how. Next I’ll show you how to make this section really killer by adding in a Featured work or Portfolio section to showcase your work and create a story in the mind of your audience.. You’ve heard the expression a picture is worth a thousand words.. and this beautiful design is going to help facilitate that because you’re connecting with your audience through imagery which tells a great story. Everyone loves stories and this is really wowing your audience and showing them exactly how you help them through killer images and case studies. I’ll show you how to set this all up properly! Then i will show you how to add this really cool video here..this is game changing because.. Video caters to the people’s visual and auditory senses. This elicits an emotional bond that will influence a person’s choices and actions, creating connection and engagement with your audience more than any other type of media. Then I will show you how to add a blog..
You’re going to love it, and so will your audience, because it gives them a reason to keep coming back to your website. Now very quickly you can see that if I click on this section you can see the top blog posts I’ve published here – and if I click on any one of these blog posts, you can see each blog post has a title heading, a large or featured image, but it also has the ability to add in comments and you can share the posts – and this really helps your customers to interact, engage and share you content which is awesome. 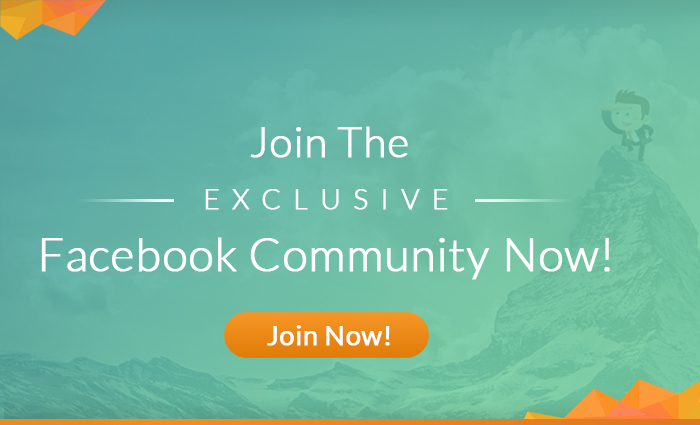 There’s also a side bar here as well which is fully customizable and you can add in things like your Facebook page, your other social media feeds or even show some of your most popular blog posts down the side here – and I’ll walk you through how to do all of that. Then, in this part here, I’ll show you how to add in Customer testimonials – now these are really powerful because they present an honest, unbiased voice about your product and company, which allows potential customers to trust you – It’s basically social proof and is a really neat way of growing your business through new customers. Then on the bottom here I will show you how to add and all your social media channels so you can continue the conversation on Facebook.. Twitter.. LinkedIn Instagram to continue to build the know like and trust factor through social media .. I will also show you how how to add this killer share tool which helps make your content to go viral .. allowing you to capture more free traffic from your audience’s Family and friends by sharing your content on their favorite social channels. Ok let me show you some of the other pages your going to add to this website – starting with the About Us page. This page is where you talk about how you can help and benefit your customers. So in my case I help business owners and entrepreneurs build profitable businesses online using my signature 3-step WTC system. And this about us page right here is where I would really elaborate on that, but I would do it in a way that’s always putting the customer first. So as you can see from this page which contains text and and an image, I’ll show you how you can add all of this in to really make this page stand out and grab your audience’s attention. You’ll even learn how to link this page to other pages on your site – so for example, you might want to allow people to contact you and you can create a contact us form on the website here, or you can place a link to your email address right here – don’t worry I’ll show you how. Next ill show you how to add in a contact us page. Now you can see from this page we have a form that people can fill out, plus ive included the actual address and even a map – all of these things really help to create trust with your audience and reassures them that they can talk to you if they have any issues which is awesome! Ok so moving on, this is the portfolio page or the gallery – for you it could be your product page or just some really killer photos that you like or represent your brand etc – but look how beautiful and clean it looks. If I click on any of these, watch what happens – it pops open like so and this is something called a lightbox – it looks visually stunning and really makes your website something you can feel super proud of. What I love about these images is you can scroll them like so (show scrolling) or even play a slideshow . You can add in comments on each image and you can do this with say some of your best-selling products. The main thing is that it’s tailored to you and your business. Lastly, I’m also going to show you how you can add in a footer to your website – so your footer contains all your additional information such as your social media sites etc and you can really customize this to make it your own. So that’s your killer site and what’s cool about this is that once you’ve set up these main pages, you’ll know exactly how to add in as many pages as you want which is fantastic because this is how you start customizing your website to your exact business needs. I’ll teach you how to embed audio, video and images on your website, change the headings and the title and even add your own logo and change the colours – for a truly unique look and feel. a riveting user experience – and it’s also what’s going to kick-start your journey to building a profitable business online! The other great thing about this website is that it’s completely mobile responsive, meaning its going to look great on any PC, laptop, smartphone or tablet – It’s a total win-win! I can’t wait to help you set this up, and with me as your personal guide, I’ll take you from complete newbie to wordpress hero in no time at all – all you need to do is follow along with me! Best of all, you can get this up and running in less than an afternoon. You’re going to feel empowered and confident because you’ll have a stunning website which not only wows your audience, but is geared towards making you money! I’ve been online for almost a decade now, and I’ve been teaching this stuff for many years, helping thousands of people just like you build profitable online businesses using their website as the foundation for their success – and now it’s your turn to have that too! Ultimately I’m going to show you my system of how to set up your website for a good user experience, I’ll show you how to get easily found online for your products and services and I’m also going to show you how to make money by turning your websites visitors into paying customers. So We are just about to get started… You Ready?!? All you need to do is follow along with me through the three simple steps im going to walk you through and you’ll have this gorgeous site up and running in just a few hours. We will be referencing this blog post throughout the video which has all the steps of the learning journey… .. So be sure to have a couple tabs open in your browser and get ready to have some fun.. and be pleasantly surprised with how easy this is going to be to get your very own website live online..
My three step system is perfect for you if you’re new to getting started online, you’re on a shoestring budget and you’re a complete technophobe – if you can send an email, you can build your website! I have purposely broken this up into three steps.. This way you can chuck the learning and apply the individual steps. This really helps offset overwhelm you just focus on one step then the next and the next and you have a fully functioning website.. 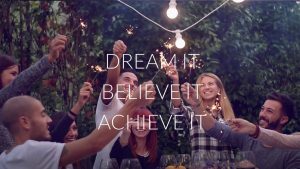 I want you to Imagine how your life would change if you had a beautiful website working 24/7 to not only attract and wow your audience, but also, you had a system in place to delivers serious solutions and value to your audience so they became raving fans and paying customers – what would that do for you and your business? I think you can safely say it would really give you a sense of accomplishment and give you the financial freedom you so deserve. So in this first step I’ll show you how to get your new site live online. Making it look beautiful and professional…this is where it starts coming together! This is where you’ll make your website slick and powerful enough to really attract, capture and engage your audience creating an ideal user experience..
Is all about how to properly setup your site for good user functionality and so the search engines know how to find your website online so people can find your website…this all about how to get people or traffic to visit your website. I’ll show you how to add a nifty little tool that shares your content with your visitors friends families and others. The more eyes you get the more subscribers the more customers. I’ll walk you through easy hacks and my favorite free plugins to get traffic to your new website for free! In this final section, I’ll show you how to connect with you new website visitors and deeply engage them through your photos, videos, blog , email and your social platforms to begin to build a loyal fan base of subscribers and convert them into paying customers – a process known as conversion. You’ll have your very own ‘set it and forget it’ system ready to turn visitors into new subscribers, leads and paying customers. 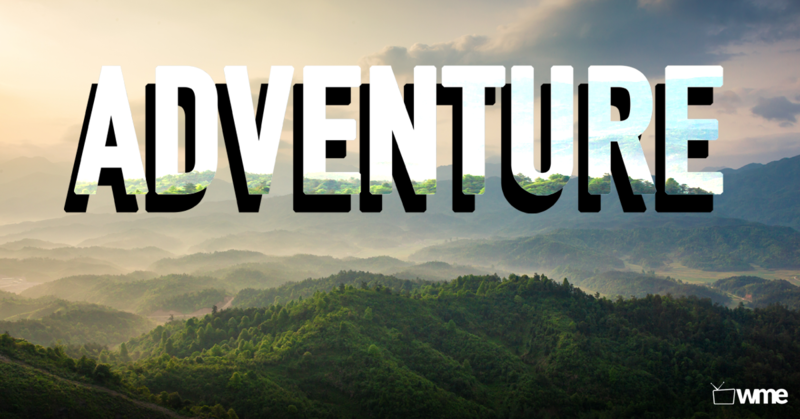 With that being said, let’s jump in and get started…. So how exactly do you get started? One of the best ways to get started with your website online is to use WordPress as i mentioned earlier..
WordPress, is a simple web building tool which allows you to have your website up and running fast – it’s used by millions of businesses worldwide and is loved by Google. And right now, I’ll show you the fastest and easiest way possible to set up your website and have it published on the Internet in just minutes without any technical skills. And the best part is that it’s a pretty small cost to get started! Lets get setup with Hosting.. this is where your website will live on the internet! This is really the only money you’ll need to spend in this tutorial and it comes in to just under 10 bucks a month.. It really is a small investment to get started with your website and have your business live online! And Stage 3 is getting your site online so it can immediately be viewed by visitors on the Internet. Like i said you will be up and running in minutes, so let’s dive right in with stage one which is buying the domain name. Your domain name is the name of your website address – for example mine is websitesMadeEasy.tv Once you have your domain name, you’re going to need a hosting service so your blog basically has somewhere to live on the Internet. Hosting is crucial to getting started online, and is no different to you moving into a new home and letting people know where your home is so when they search for you, they know exactly where to find you! So don’t be scared or overwhelmed by the idea of setting this up – as long as you follow along with me, you’ll find it really easy to do. As I said hosting is only costs around 10 bucks a month .. just a small investment to keep your site and all your content live on the internet..
Now there are lots of different hosting services out there, but I’ve always gone with Hostgator because their customer service is pretty awesome. I really believe hostgator is the one of the best hosting service out there, and just so you know how confident I am in them, I use hostgator to get all of my members set up with their sites too!. 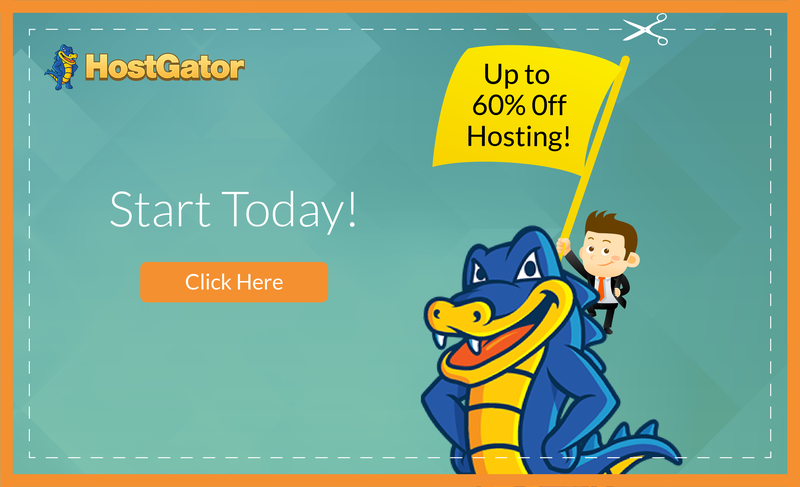 So if you want to take advantage of hostgator, I’ve got special coupon code for you. This will knock 50% off your hosting to get you up and going saving some! Just be sure to enter the coupon code ‘wordpresshero’ at the checkout to get half off your hosting! Ok so what you want to do is click on get started now .. in the middle of the page, then select choose a plan then select.. the Hatchling plan if you only want one site, but if you’re planning on having multiple sites, then I recommend you go with the baby plan as this will give you unlimited domains. You want to register a new domain name. Now hopefully you’ve really thought about this and picked a good domain name. If the name you want is not available, keep drilling down and using different URL extensions such as dot com, dot net, dot org etc or even playing around with the actual name. My domain name is WebsitesMadeEasy.tv.. I choose this because i thought it was appropriate considering most of the content on my site is video.. In this video though we’re going to create a new site for demonstration so that being the case we are going to name this new website websitesmadeeasydemo.tv. Ultimately whatever you’re comfortable with..
Then from the drop down, select monthly if you don’t want to pay for your hosting upfront…. I am going to select the yearly option.. Typically when you invest in something upfront you are more likely to commit to it and follow through.. This is a great way to commit and invest in your goal of having a your own website live online! Once you’ve got that sorted. You can go ahead and review your order and if you’re happy with it, simply enter in your payment details . Now one thing you’ll notice when you review your order is that it will have added on a lot of additional extras which you don’t need. So you can just uncheck the boxes under hosting addons as these are all going to cost extra. In the coupon code box, enter WordPresshero to save 50% off your entire order.. Be sure to validate it and it will bring the cost of your hosting right down. Go through the rest of the process – just follow the instructions and i’ll see you back in a moment. Ok I’m back and I’ve confirmed my order and I’m now on the thank you page. You’ve successfully completed step one in our three step process of setting up your website, and hopefully this first step will have been a piece of cake for you! Ok so onto the next step now which is installing your actual website onto your domain name. Again, the whole process is very simple and you just need to follow along with me and you’ll have this installed in no time. You should have received 2 emails a welcome email and your account email information straight into your inbox. If it doesn’t arrive, check your spam box. If it’s still not there, give it some time, it should arrive within about 10-20 minutes or sooner. You’re going to need these email to help set up your new website. Go ahead and find your account info email and open it up. I want you to pay attention to the information inside – in particular, have a look at your username which is what you’ll have selected during purchase. You’ll also need to make a note of your password. I suggest you copy your password and then click on the cpanel link here. It’s easier if you right-click and open this up in a new tab. Ok, so now you want to enter your login details that from the email you received. Once you’ve logged into your cpanel, you’ll see a page which is full of different icons and it can seem a little scary and overwhelming. Don’t be scared, it’s actually really straightforward and to be honest, you’re not really going to need to know what all of these are until you get a lot more advanced, so don’t worry. Right now all you need to do is scroll down towards the bottom where you’ll see a section called software. You’re looking for the quick install icon – go ahead and click that. Once you click this, look at the bar on the left and find WordPress under the section Popular installs.. Look for WordPress under the secton Site Builders & CMS at the top of the page. And then on the next page you want to select your domain for the WordPress installation. go ahead and down and find your new domain name.. once you have selected that click next! Now you’ll come up with a form asking for some simple information – you’ll need to add in a website or blog title and fill out the name of the person who will be maintaining the site – it can be your name or whoever is looking after your site for you. Also add in your name and really good email address where you can receive incoming emails. Then checkoff the database and terms of service and then click on install Now. Wait a few moments as your new wordpress site installs. As soon as this is done, it will give you the details for your new site here. All you do is copy the password as this will be your password for your new site. The username will be whatever you selected during set up. 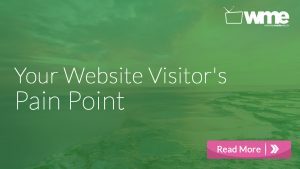 Ok so now you want to click this link here which will take you to the login page or the dashboard for your new wordpress site. When you click on the link, you’re most likely going to hit an error and it will tell you the website isn’t available. Don’t panic, because this is absolutely normal. Now sometimes when you click that link it will take you right to your login of your WordPress website or it might take you to a page that says you need to configure your name servers..
if this is the case for you you’ll need to access your welcome email from HostGator and log into your customer portal.. Remember you should have received 2 emails..
once logged in right up top you should see a section called domains. Click domains and then select your domain..
Then head down and select name servers..
Then select Automatically point my domain to my Hosting account or you can manually enter them in which you can find your name servers in your welcome email..
and that’s it go ahead and save name servers and you are set to jet..
again this could take a while to propagate for your new website to become live on online so be patient with that.. that’s what this whole process is right here! So go ahead and log out.. Access the email with your login details for your new webste. Right click on the link and open in a new tab. Then all you need to do is add your login details for your new site and voila! You’re in. Ok, so this brings us to the end of stage two which is installing your wordpress site. Hopefully the process was straightforward and painless and not at all scary. Ok onto step stage 3 which is getting our website live and ready to go. You should now be inside the dashboard or the admin area of your wordpress site. I love this is where all the goodies are we get have some fun and customize our site to our liking. This is where you’ll be able to add in your content set up your pages control layouts add themes and just about everything else you need to build out your site to make it Awesome and to ultimately serve your audience. But before we get started you can always access a website by right clicking this home icon right up here. And I would suggest that you right click this and open it up in a new tab. This way you have a point of reference in terms of any edits and changes we are making as we press through the tutorial. So let’s go ahead take a peek and see what the site looks like right now out of the box. Not too exciting right now but don’t worry. We’re going to get this site dialed in making it look Awesome! Your going to love it! Let’s head back to the dashboard. So let’s get straight into it now the first thing that your going to do is go and get rid of some default content that comes preinstalled on all WordPress Websites. This way you ensure our site is unique incompletely fresh ultimately set up for your individual content. So lets get straight into it.. Sometimes you’ll see notifications up here which are useless. So unless you install something that says it needs to be updated as we go through. That’s something that you might want to take note of but just go ahead and remove this for now so just x this out. Now head over to posts and then all posts and go ahead and Trash this so just select this up here to tick that off and then go ahead and trash it. And like I said your just getting rid of some default content that’s installed on every WordPress website which is useless. OK. now I’m going to be pressing through quite a few of these options in the menu here. Now don’t let this overwhelm you. All right. We’re going to cover all of these concepts in depth as we continue to press through the tutorial. It’s my job to ensure that you understand these concepts as we unpack each one. And by the end I will make sure all of this lands for you. OK. So just follow along. And as we move through it you’ll start to conceptualize what’s happening. Ive been doing this for a long time and I know the best way to approach this so you understand what’s happening as I move through it. I’m excited to be able to share this stuff with you it’s going to be a fun learning adventure. So stay plugged in. Alright let’s head down to appearance and then themes. Now this is actually where it gets really cool. We’re about to change the entire look and feel of your website. You are going to add a new WordPress theme and I’ve selected one that is absolutely perfect and its called Sydney. Now this theme is really easy to use! You just pop your content in with drag and drop features, its that easy.. You are about to see! What is really cool about this theme are the various elements you can add to your site! Elements like a image slider.. Servicers.. Calls to action.. Portfolio section.. Vidoe .. blog .. you name it has it! It’s perfect for your audience in terms of functionality.. you’re able to deliver a great experience to showcase your work and your messaging that really speaks to the specific desires or pain points your ideal audience. So ultimately it’s a win win. OK so go ahead and head up here to add a new. And then go search themes over here in the search field. Just type in Sydney. OK there it is right there. And you’re going to do this by adding in drag and drop rows that make up the individual sections of the website..
You will have a row for your services section and then another row for your call to action then another for your portfolio… etc.. you get the idea.. So all you do it add a row for each section pop in your content and you are set to jet..
It’s going to be awesome so let’s get straight into it. OK let’s go ahead and close this out. And then just click install. And then all we want to do is activate. Perfect. And then we can take a look if you remember we have our browser open with or just refresh the page. Awesome right. It’s so simple to change the entire look and feel functionality of your website within clicks. Really really powerful stuff. So let’s head back to the dashboard. So I’m going to do my best to explain each concept by explaining what each one is why you need it and how it is set up properly. So I encourage you to go through this video once then go through it again to apply the concepts ultimately learning what you have applied in practice. All right. Now you’ll notice you should have a new notification here .. This theme recommends the following plug-ins..
plug-ins are just little snippets of code that expand the functionality of your wordpress websites. Now that you have the new theme installed you’re going to create a couple of pages that are going to serve as the foundation of the site to properly set it up with the Sydney WordPress theme. The First page that you’re going to create is the home page..
the home page allows for your to drop in all the individual sections of the website..
we do this by creating rows that become the individual sections..
Next you will create a Blog page.. This will organize all of your blog posts in one place.. So head up to pages and then add a new.. So head over to settings and general. Now for the most part WordPress has done an awesome job of getting the settings right so there’s not much that needs to be done here. Now for your site title put in your business name your brand name your name or anything that’s going to speak to your audience OK.
For your tagline, you can put in something kind of fun or catchy or you can leave that blank. So ‘Websitename” do not change anything here make sure you have a good email address. So if you ever change your password or any notifications you’re notified through that e-mail address. OK. All this is pretty straightforward.. The be sure to save changes. And this all looks good. Nothing is to be change in here. head down to – before a comet appears and change that to “comment must be manually approved.. This way you have some control over the comments that are being posted.. This shows people’s actual pictures.. Kind of like a Facebook profile image for websites.. Just search gravatar to get your set up..
Be sure to save your changes.. This is awesome because you can upload all the custom images i hand selected for this website… you can choose to use my images or you can use your own, this is a way to add all your images at one time and it keeps things pretty organized and easy.. as opposed to uploading images 1 by 1. You can download all of these images right here by clicking the button below! Now onto Permalinks. This is so important. You want to ensure this is set to post name. So what this is going to do is make sure your website post and pages links are properly set up so the search engines and your audience can find you online.. This is going to create very specific navigation in terms of what your pages and post are about. Allowing your audience and the search engines to find you based off specific search queries related to your content. It’s crucial for search engine optimization. And that means so your content or your website can be found online. That’s something you want right. Hope that sinks in. Because it’s very important..
That is it for the wordPress settings. now it’s time to have some fun and build this site using the Sydney Theme. Like I said what’s so cool about this theme it’s literally drag-and-drop pop in your content and you’re good to go..
And this all begins by heading over to Appearance and customize. so go ahead and click on Appearance and then customize..
Now you will see a menu with a bunch of different settings.. this is very similar in terms of what you just did except these menu settings will allow you to customize the Sydney theme..
Now i am going to take you through each of the settings so you understand what they do..
As you’re making changes you’ll see the changes reflect in the visual editor to the right.. So go ahead and click on the general setting.. I would not change anything here..
Know if you remember you already edited these universal settings earlier..
and if you want to add an awesome custom logo for free we have a really cool quick tutorial that teaches you how to make one free which you gotta check out and we’ll add a link to that at the end of the video..
To show you how this is done I want you to go ahead and add these image in for now..
And the next image is The Site Icon is used as a browser and app icon for your site. So after you’ve done that and like everything go ahead and save and publish your changes..
then hit the back button..
-A standard website header -Which is just a basic header image. go ahead and leave the selection on the slider option..
Then the next option is the site header type.. this will display on all your pages and posts and not the homepage. I choose to have no header because it just looks a lot cleaner and focuses on the navigation..
Once you’re happy with your choices go ahead and save and publish..
Next click the Header slider settings.. This is awesome this is where you get to add and in up to 5 custom images for the slider area.. I have 3 images that I’ve selected that are really beautiful and inspiring. Before we do that you’ll notice there’s a slider speed setting..
it is set to 4000 milliseconds Which is 4 seconds I would leave between 4000 and 6000 milliseconds..
next I want you go ahead and add in the slider images.. So go ahead remove the first image and then change it..
and after that you can add a title and a subtitle underneath the image. I would suggest you add something like that or something that Benefits your audience.. The one big idea of your brand or business that helps your audience. So for example i could also use something lke this.. So if you’re drawing a blank..
you can always use a headline and subhead line like mine. Have some fun with it.. you can always change it. And as you’ll notice to the right in the visual editor the changes are happening live. and this is what it will look like on your site once you save the changes..
Head down to the call to action button settings at the bottom . In the “URL for your call to action button” for now I would leave this as it is. when someone clicks the button it’s going to send them right down to your services and call to action..
which were about to set up..
okay cool we’re done here..
go ahead and hit the back button.. Remember this A standard website header -Which is just a basic header image. this is just where you would add in your own custom header image. And remember to be sure to save and publish your changes if you’re making any changes..
Leave the selection on sticky menu. here’s what that looks like.. The next option is menu style I would leave it set to inline..
Go ahead and save any changes and hit the back button..
Then go ahead and click on blog settings.. I would leave everything the way it is here..
the settings are pretty ideal..
if you were to change anything you can change the blog layout.. The classic layout versus the grid style blog layout..
Go ahead and select the font settings..
you can change your fonts and you can change the size of your fonts..
You can play around with it and see what it looks like in the visual editor.. I like to have a big headline on my site.. with the Sydney theme it doesn’t allow for you to just change the size of headline by itself without affecting other elements… so in a little bit I’m going to show you how to add a plug-in that allows for you to add in some custom code to be able to make that change if you want a bigger head line.. Just something to take note of with WordPress themes is pretty much what-you-see-is-what-you-get you can’t really customize them unless you want to edit code..
And this plug and you’re going to add makes it really easy to do that! For the footer settings everything looks good you don’t need to change anything here .. this is the area at the very bottom of the site where are you are going to add your social platforms in a bit..
you’re going to make one change here ..
Be sure to save any changes and select back..
the next setting is the background image you don’t need to be concerned with this..
the menu settings.. You are going to create a custom menu later once your site is built out.. so we will be coming back to this setting.. this is the navigation that you see the top of your website this is the navigation that you see the top of your website..
Widgets are independent sections of content that can be placed into widgetized areas usually sidebars.. For now we you do not need to edit this setting..
You typically see widgets like recent posts, categories or a Facebook fan page on the sidebars of blogs.. The next setting is the static front page..
You made these changes early in the Universal WordPress settings remember? Save changes and that is about it customizing the Sydney settings.. CAll to action– So for my call to action this is really the one big benefit that is unique to websites made easy.. That is geared toward helping our audience.. Okay awesome! Now you have laid the foundation for your new website..
you should be pumped good job! Now we are moving on to step 2 Traffic- Which is all about setting up your website properly for the ideal user experience.. The more eyes you get the more subscribers the more customers. I’ll walk you through easy hacks and my favorite free plugins to make your website dialed in for you and your audience! Now that you have your settings all in order you’re going to want to really pay close attention here and check out these little goodies that we’re about to add to your Web site. 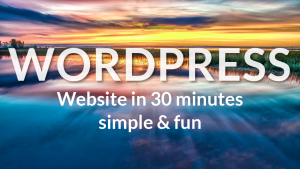 This is where WordPress really sets itself apart from other web site creation tools. It’s a game changer. You’re about to add 6 of my favorite free plug-ins making your site very powerful, Ultimately running smoother and faster, Set up in a way so people can find you online, to share your content with friends and family.. and of course set up for a very good user experience.. allowing you to turn your audience into subscribers and potential customers..
OK so i want you to head over to our menu and go to plugins and then add new. This plugin will allow for you to make simple edits and tweaks to the Sydney theme.. Remember I am going to show you how to make the main Header title bigger.. This plugin is how you do that.. The next plugin you want to install is the SiteOrigin Widgets Bundle.. Remember what a widget is? Widgets are independent sections of content that can be placed into widgetized areas usually sidebars.. This will allow us to add in our social media Platforms and Google Maps..
Go ahead and type in SiteOrigin Widgets Bundle into the search field and it should show up. go ahead and activate and install the plugin..
We want to install this and then activate it..
OK so after that let’s go ahead your plug in admin page and then we want to select caching on and then update status. OK so I’m gonna go and dismiss this. And then we can go ahead and test cash. OK so now without getting too technical what this basically does is speed up your entire website this is really important to have the search engines like Google look at load time of websites and blogs as criteria for a viable source of info because people are on the go. Not wanting to wait around for a slow website or blog. So this is going to speed up your entire website ultimately running faster and smoother! For now we want to keep this plugin disabled until we’re done building this site out.. This way your seeing your changes real time and not seeing cached versions of your website..
Ok now your are going to add the Black Studio TinyMCE Widget plugin.. What this does is allow you to edit pages and post like a Word Document.. Bold, itlaizes.. Add images etc.. It makes it really easy to customize your content. Go ahead and enter Black Studio TinyMCE Widget into the search field and it should come right up..
OK the next plug that we’re going to add is called Yost SEO and this is for search engine optimization purposes so we will just type in Yoast SEO and search for that and it should be this first one right here. Now what this little plug in does is pretty amazing and helps people ultimately find your content online. This means you can choose how your content will look on Google searches. When people look for specific things related your content they will see a snippet of your content and choose whether they want to click on your website or not. So it’s crucial this is set up properly so you can be found online for your specific products and services and blog post etc. And I am going to how to show you how to set that up right now. So what we want to do is head over to SEO right here and this is the Yost SEO settings and then we want to click on titles and then metas and this is super easy to set up and really awesome with what this does. So Go ahead and click configure the plugin..
Then go ahead and click production cuz this site is going to be live online..
Then you want to select company or personal site and enter in the name and you can even upload a business photo like a logo..
Next you can add in all your social profiles if you want to.. If not go ahead and click next. Next is your post visibility everything is good there go ahead and click next..
Next will you have multiple content authors? In most cases no so go ahead and check that..
Next is setting up your Google Search Console To allow Yoast SEO to fetch your Google Search Console information, enter your Google Authorization Code. If you want you can go through this process and connect your Google account with Yoast SEO… it’s not necessary though..
Next is your Website Title.. You don’t need to change anything here unless you want your website to be name something else in the Google search results..
GAdd any new movies stop get downo ahead and close it at the bottom of the page and you are set to jet..
your website is now set up to be found online..
We want to click on home page. and you would add in basically a brief description explaining what your website is about. Don’t worry for drawing a blank on this. An easy way to think of is..
A book’s title and a book’s description. So the major benefit of this is for Search Engine Optimization so you can be found online. Without this really kind of in the dark… search engines like Google have no way of identifying what your content is specifically about. It’s going to help index your content according to what you want your pages and post to show up for so you can be found online. So you want to make sure this is set up properly. OK so it’s time for our next plug ins what we’ll do is head back over to plug ins and then add a new up in the search field up here. SumoMe has a entire suite of Website traffic tools which are incredible..
For now we will get started with Share.. So let’s get this little guy set up now go ahead and click on install now activate plug in..
And this is super easy to set up as you’re about to see then we will go down to SumoMe. So you quite literally just follow these instructions. We got to register our account. So what we’ll do is click on this little crown icon here to register your new account just put in a good e-mail address and a new password and you’re good to go. SumoStore and Share is what we are looking for..
And as you can see they have a ton of little tools and apps that you can use with your web site. Right now let’s just go ahead and set up a share. Go and click on that. Now this little guy is awesome. You can get up to 20 percent more traffic using this little tool. So basically what share does is it makes it super easy for your visitors to share your content to their friends family and others. The more people share your site content the more viral traffic goes back to your site ultimately. So basically people can like, tweet or even pin your content through the use of social sharing buttons. Put it this way if you don’t have this tool you might as well be invisible. You’ll find it so much harder to get any traction without a social media presence. So this little tool will help address that issue. OK so let’s go ahead and get this setup click on free then click on Open. Click on the free option. OK so that is it. It’s installed. So let’s take a peek at what it looks like on the site. There it is. Now people can share your content. This will allow for you to add an email contact form on your website. This is extremely important to have.. This is the bridge to connect you with our website visitors. Its very important to understand that when people come to your site they may just come once never to return..( The purpose of a call to action is to give value to your audience.. The reason why they are on your website.. You can go deeper be giving them more value and delivering that value through email… This can be a free consultation.. A free report.. A free video .. something to leave the visitor in a better place as a result of coming to you website.. Always lead with value and take care of your visitors!) So By getting people’s email addresses you are able to continue the conversation through email and build relationships.. Ultimately this gives you the opportunity to connect individually with each visitor creating an open line of communication…stimulating new relationships and of course allowing you to market your brand .. products and services repeatedly. I’m going to show you how to add your blog to kick this step off..
First let me ask you a question. Would you be interested in learning the best way to make your website deeply connect with your audience. Making them come back for more. Over and over again. Ultimately creating trust or what I like to refer to as the know like and trust factor. Would this be something you would like to know how to do.? That’s where your blog comes in. And it’s a game changer. Blogging is one of the best ways to establish your credibility and authority educate your community and build a personal connection with your audience all at the same time. And when it’s done right blogging can help build your audience and encourage them to become lifelong customers with you. The thing to remember is that people online are usually searching for solutions to their problems and blogging about the topics most relevant to your audience is what’s going to help them have confidence in you your products and services. Like i said blogging is essentially about building the know like and trust factor in short. You’re more likely to buy from someone you trust not having a blog and just relying on your site can actually make it very hard for you to build your brand in your presence online. OK. You see unlike your Web site which consists of mostly static pages like your contact has page services page about us page that more or less stay the same. The blog has content which is updated on a regular basis meaning content is always fresh and relevant. Therefore giving visitors a reason to return to your blog and your site repeatedly plus blogs allow your audience to comment on your post. Creating engagement engaging with your audience is an awesome way for you to build a relationship with them so you can understand what they need most and help provide solutions to their problems. Another huge bonus is that Google loves blogs or the fact that Google search algorithm is based on delivering the most valuable and relevant content to the needs of users. And this means that Google will always boost content from sites which are fresh relevant and most of all engaging. All right. So while your website serves more of like an online brochure that talks about you your products and services your blog is focused purely on helping your audience and its a win win for everyone searching for anything relevant to their problems. For example if you sell skincare products your blog would have tips on looking after your skin and could answer specific concerns in some of your posts would also recommend the products you sell. Over time people who are looking to resolve their skin issues will be far more likely to purchase from you because you’re already you’ve already built a good relationship with your audience and done properly your blog and position you as an authority in your industry. Where audience come to you for solutions and will trust you enough to buy your products and services. The single biggest advantage of a blog over a Web site is that it allows you to connect directly one on one with your audience by encouraging conversation engagement and building trust. Hopefully you can see how why blogging is essential to the success of growing your business online. So now you know why blogging is so important. I am going to show you how to properly setup your blog for your audience for the best user functionality. In this tutorial I have 3 posts i am going to show you how to add.. The first post is related to websites. The second page is related to Traffic. in the third post is related to customers. So i am going to show you how to add three different categories for each of these three posts.. Adding categories creates organization and structure in your blog. This way your audience can find other useful posts related to a specific category! Now this is where things are going to start to get really cool. You’re going to start your blog! Head over to post then click on add a new..
Just to clarify post are specifically used for creating your blog content and pages are used for Static Pages like your contact us About Us page which will be adding soon..
and click add new category Type in customer and leave it set as parent category. Then click add new category..
then right above that under format select standard for the post type! Then head up to title the post and type in Customer! then head over to your Sydney media folder and copy the blog post off the word document in the Customer folder! Then you’re going to add a couple of images to this blog post..
Then head down to the bottom right and click set featured image..
Then head over here to Publish your post! Once that’s done congratulations you just added your first blog post! You’re going to repeat this a couple more times to get the hang of it it’s really easy. Head back over to post then click on add a new..
then head to categories in the bottom right and click add new category Type in traffic and leave it set as parent category. Then head up to title the post and type in Traffic! Then head over to your Sydney media folder and copy the blog post off the word document in the Traffic folder! then head to categories in the bottom right and click add new category Type in Website and leave it set as parent category. Then head up to title the post and type in Website! Go ahead and head over to pages and then add new..
And like I said before pages function bit differently then the blog post pages.. Pages are typically used for static pages that more or less stay the same like your contact us page and about us page which you are going to set up right now..
to create your pages we are going to be using page builder! This is one of the recommended plugins you installed shortly after installing the Sydney theme.. This gives you the ability to add in several different elements to customize your page which are also known as widgets like we’ve been talking about..
so for example our contact is page is going to have 3 rows each row having its own widget..
and I’m going to show you how to do this right now.. So go ahead and title your page contact us..
then head over to the right under page atttributes Under the template drop-down select front page..
then head up here to the page builder tab and click that ..
Then click the insert button..
Next you want to edit the row by clicking the wrench icon..
Then click on theme and for the top bottom padding you want to enter 40 PX. Padding is just the space in between the different rows.. We’re making this just right so there’s not too much space between the rows..
And now what you’re going to do is add a visual editor widget so you can add your Contact Us title..
so go ahead and click on widget.. and scroll down and search for the visual editor widget and click on that..
And then click on the edit link.. In the title field type in Contact Us and then select done..
Next you want to add in a row for all your contact us details..
Go ahead and click on ADD row.. In the row layout settings leave this set at 2..
Now you’ll see this row is broken up into two halves or two sections..
we want to change this to 70% in the left section and 30% in the right section.. This will allow you to add in your contact details and a map on one side and your email contact form on the other side.. When you have that sorted go ahead and click insert. Then click on theme and for the top bottom padding you want to enter 20 PX. Next you want to add a widget for your contact details.. If it shows up on the right go ahead move it over to the left..
Go ahead and pop in your contact us details..
I’m going to grab mine over the Sydney media folder..
once you do that you can edit this you can bold it italicize things underline things as you see fit.. So once you’re done with that go ahead and click done..
and now you want to add in a new widget for your map..
so go ahead and click on widget.. and and search for the site origin google maps widget and click on that..
And if you need to drag it under the visual editor widget..
Then go ahead and click on the edit link and you should see a pop-up.. In the map center field go ahead and enter your address..
Then in the API settings you are probably not going to need to address that but if your map does not show up your going to want to click that link to get that set up properly. Then under map type you’re going to want to leave that set to interactive and height being 300..
Then go ahead and click done .. So now you have a map on your contact page..
Next we are going to add in that all so important email contact form..
Now go ahead and publish everything so everything is nice and saved..
and then head over to contact and then right click that and open in a new tab. Then click on contact forms..
Then click on the link that says contact Form 1..
After that click on email and enter in a good email address where you want to receive your emails when people submit their contact information. The from field is the email address that you’ll be sending outgoing emails from.. So this would be something like your first name @ your domain name..
And to set it up properly we have an awesome video detailing this process its a little outside the scope of this tutorial… I’ll link it to the end of this video..
so now youve got your contact us page setup properly. and we actually started with the most complicated first..
it only gets easier from here. Now let’s get your about us page setup.. So let me explain what should be included in your About page the About page really gives you a chance to describe what makes you in your business unique. You have the opportunity to describe your core beliefs while communicating your true personality that lies behind your brand. So there are many ways you can do this from including your mission and vision statements to adding your personal bio and company story. You can include your core values or simply statements about what you do and why you do it. So you want to be sure to include the name your business. Any members of your team your own personal story or the story of your business and how it came to be. Also be sure to include what makes you an expert in a given topic and what your main purposes for your business. Let’s get started and add this right now. So head over to pages and add select add a new..
then head over to the right under page attributes under the template drop-down select front page.. The first thing you want to do is add a row for your about page title and content. Then click on layout and for the top bottom padding you want to enter 40 PX. And now what you’re going to do is add a visual editor widget so you can add your About page your about page content.. In the title field type in About and then i am going to head over to the Sydney media folder and grab my about page content.. I am just going to copy it and paste it in..
Go ahead and select add media then..
Add in your image once you have all that sorted and you’re happy with everything click done in the bottom right..
Next you want to add in a row for your call to action so you can send people to your contact us page to get started. Then click on layout and for the top bottom padding you want to enter 30 PX. and type in #222222 ..
Next you want to add a widget for your call to action..
so go ahead and click on widget.. and search for the call to action widget and click on that.. The head over to the settings and click on design..
Then for the title field go ahead and leave blank.. CREATE A PROFITABLE WEBSITE WITH OUR SIGNATURE 3 STEP WTC SYSTEM..
And in the link for the button enter in your contact us page URL..
Should look something like this..
And for the text for the call to action button..
Then go ahead and click the done button. OK so now your going to add in three services sections or what I like to refer to as three call outs of value ..
now use this area as it applies to your business. So let’s head back to the WordPress Dashborad and click on Services and then add a new service .. This section must speak to the pain points of your audience! And should be beneficial to your audience! You want to get them excited to learn more from you and want your products and services. Just like a page go ahead and title this with your service name or product. and below that go ahead and add in a little description..
Now after you’re done with that head down to the services icon section and click on the link right there to grab an icon for your service.. It should bring you to a page the font awesome Cheat sheet that’s full of a bunch of icons ..All you do is sort through the icons that you like and hightligh and save the shortcode that represent the icon that you want for each individual section..
Below that There’s an opportunity to link this service to another page To go in more detail about this service or product if that is something you want to do..
Once you’re done go ahead and publish and you have now setup your first service section.. So you are literally going to repeat this process 2 more times creating 3 service sections in total..
click on Services and then add a new service ..
go ahead and title this with your service name or product. Get started now with one of our certified coaches! Just click here to begin! Find the icon that you like and highlight and save the shortcode. Once you’re done go ahead and publish and you have now setup your second service section..
Once you’re done go ahead and publish and you have now setup your third service section..
Now you should have three services created..
and just to be sure go ahead and click on services and then all services And you should see them right there..
now you’re going to make all these Services live on your homepage..
and to do that you’re going to head over to pages and then click on all pages..
Now you should see your homepage go ahead and click edit under homepage..
Now if you haven’t already guessed it…. So go ahead and select add a row..
Then click on layout and for the top bottom padding you want to enter 60 PX. And now what you’re going to do is add a Sydney FP Services Type A widget so you can add your About page your about page content.. The purpose of a call to action is to give more value to your audience.. The reason why they are on your website..
this gives you the opportunity to go deeper be giving them more value and delivering that value through email… This can be a free consultation.. A free report.. A free video .. something to leaves the visitor in a better place as a result of coming to you website.. Always lead with value and take care of your audience.! And then click out of layout and select design..
And then under background image click select image and choose this image..
And now what you’re going to do is add the Sydney FP: Call to action widget so you can add your call to action to link to your contact us page..
so go ahead and click on widget.. and scroll down and search for the Sydney FP: Call to action widget and click on that.. In the title field leave blank and then .. Your domain / contact us..
Then select done and update the page and check out the changes..
Next im going to show you how to add in a Featured work or Portfolio section to showcase your work and create a story in the mind of your audience..
You’ve heard the expression a picture is worth a thousand words.. and this beautiful design is going to help facilitate that because you’re connecting with your audience through imagery which tells a great story. Everyone loves stories and this is really wowing your audience showing them exactly how you help them through killer images and case studies. I’ll show you how to set this all up properly now..
And you’re going to love this it’s super easy to set up it’s just like what you just did earlier when adding the services section.. So let’s get straight into it..
I’m going to show you how to do the first five and then you can do the remaining five yourself.. just to save a little time..
Now we are going to add the Social Media section..
Head back up and this time just click edit page..
Then click on layout and for the top bottom padding you want to enter 10 PX. Then scroll down to the row layout and In the drop-down select full width. next you’re going to add the siteorigins social media widget. so click on widget and then click on siteorigin social media widget..
Then under networks select add.. The click on select network ..
Then just type in your social media URL for the desired network.. I have all mine saved in the Sydney media folder..
You’re actually going to start adding content to your posts to our blog so you can see how this all comes together and I want to show you how to add the categories we just talked about and then explain briefly really what a difference between a post and a page is. And I kind of I think answered that. But really pages are mostly static which means they stay as they are and rarely change a post is on the other dynamic.. So we’re back in the WordPress dashboard and now that we’ve got our blog optimized properly set up for visitors in the search engines we’re going to get started with posting our first set of blog post. But we’re not going to just be posting a bunch of gobbledygook like you might see another video tutorials rather we’re going to post intentionally. We’re going to provide our audience with posts that are full of value. So pay attention you might want to grab a pin that thinking cap because we have some goodies that you won’t want to miss. So before we start adding our post we have to add are categories. And to do that we’re going to head back over to the WebsitsMadeeasy blog. And I want to pull some categories from our blog they pretty much apply here based off what we’re doing. So let’s head back over there. And here are categories. All we’re going to do is head to posts and then categories. And this is very straightforward. OK. So just the first one. Converting traffic into sales. Go ahead and copy this and paste it in a slug and the slug is just a u r l friendly version of the category. OK. And then go ahead and add new category. And it’s that easy and how this works is is that when we create a new post what we’ll do is we’ll select the specific category that applies to that post and I’ll show you how that’s that’s done properly here in a minute when we are at our posts so we’ll add our next category. Optimizing your wordpress site. It’s starting with WordPress and content marketing. And one more. And it’s that easy and new category and we’re all done for now. Okay perfect. Actually one more thing let’s change this Uncategorized cause you can’t delete this. Let’s edit this. Scroll down. And an update here in the bottom left corner. And we’ll head back to category’s. OK perfect. So when we start to add new posts. And then we apply the specific category to the post. You’ll see them right here in the count area. And you see the slug right here. The you are l friendly version. Of the category. Now if you’re thinking I have no idea what categories to even come up with or where to even begin with that it’s real easy. Don’t overcomplicate this categories think of your categories like is subtopics of your main topic right to say your main topic was health or that’s what you teach or your website’s going to be about. So your sub topics or categories would be things like working out diet supplements sleep anything that’s going to help your audience move the needle in get them closer to where they want to be in terms of finding solutions or addressing pain points. Remember this isn’t about you. This is about serving your audience to the best of your ability. So when you’re coming up with categories or any of your content it’s not about oh this is cool. I just want to put some stuff out there willy nilly. It doesn’t work that way. You want to put stuff out there that is going to consistently help serve your audience. You always want to be mindful of serving your audience. OK so now we’re going to get started with adding our blog post and you’re going to be blown away without easy this is.. So what we’ll do is head back over to our dashboard and we’re going ahead to posts and then add a new post. OK so what we’re going to do is head over to my content folder. This has all my web site goodies in it. Everything I need to build out this site. I suggest you make something similar. So before we do that let’s go ahead and X this notification. We don’t need that. And let’s head over to the content folder. Grab the first post. Here is the article and all we’re going to do is copy and paste it right in here. Copy and paste rag and draw so easy and I’m going to clean this up a little bit. OK that looks good. And we’ll go ahead and enter our title. And then I’m going to go ahead and pick a category here so converting traffic into sales. OK that looks good. Now we’re going to breathe some life into this and add some images so I’ll go ahead and just highlight this. We have an image that you can see right here. We’re a pop one so I’ll go ahead and media by clicking this really easy to do. Then we’ll select files and all we want to do is just upload one. OK. So we’ll go to and this is the first one and then shoes that perfect. And then we can just go ahead and insert into post and the bottom right hand corner there. OK. That looks a little bit too small. So what I want to do is go ahead and click the image and then you click the pencil OK. And then all we want to do is right here just go to size and then move to get a large much better. And then we want it click Update. Perfect. OK then we have a couple more images. OK. Let’s go ahead and highlight this ad media. Upload files select files. Choose that. Let’s. Go with medium on this one. And then insert into post. And we can always change this as need be. But you get the idea. And then one more image right here. Add media. Upload files select files. Narratives. And we’ll go with. Large for this one insert into post. OK cool. Now take a peek at this image right here you see that little treasure chest. There is another really effective easier way of doing some of this. That is awesome. But in order for me to explain it to you we gotta get these fundamentals down and these core concepts covered before we jump into that. So you’re going to definitely want to check that out. So anyway let’s go ahead and update this post publish it. And I want you to take note of a couple of things here. OK. First of all remember Permalink. We were going through the the settings. Here it is WTC system customers. This is the title. Right here and this is our you Arel friendly link. So it’s got very clean navigation. OK. And it’s great for the search engine as well. And for of course for people to find your stuff and this is the the settings. So this is what it’s going to look like in the Google search results. OK. Perfect. And let’s go ahead and view the posts so will click on View Post. Looking good. And we’re going to clean all this stuff up later on. I just want to get this PO squared away for now. And we can make this a little bit bigger. But let’s head back to edit post. Oh one more thing we have to do we have to add a thumbnail. So we’ll click on set featured image right here. Upload files. And this is the little thumbnail that’s going to show when you’re looking at the home page of the Web site and you see the blog the thumbnails there for each post. That’s what that is. And then customers. There we go. And then set featured image. And you’ll see what I’m talking about when we get this. Let’s go ahead and. Update. OK. And actually let’s take a peek and you can see what it looks like. So will refresh the page. And there it is right there. OK I’m just going to quickly go back to the post and clean this up a little bit to make it look a little bit better. So I’ll be right back. OK so I’ve gone ahead and just tied it up a little bit made the images a little bit more optimized I guess for the the post if you will. And now we’re going to head to post. And then at our next post you always want to be sure when you’re updating your post is to go over here and make sure you click on update to save the changes. Otherwise the changes won’t save. So we’re going to head over to our content folder. And just paste it in. OK. And I want to go ahead and clean this up a little bit. And now we’ll grab the title of our post. Perfect. And then we’re going to pick our category. And now we’ll start to add our images. Add media upload files select files. In Google with large for this insert into post. Now if you want to adjust this to custom settings for this all you would do is go to size and this is what I was doing earlier and get a custom size and then I’m going go ahead and pick an update it looks good. And we have one more image I believe up right here at media upload files choose that awesome insert in the post. It’s going to be huge. Edit the image and we’re going to go to custom size. I think in around six an update that looks good. Okay perfect. Now what we’ll do is add our featured image and this is our thumbnail image remember. So upload files then choose the image and then set feature image. Isn’t this awesome it’s just so easy to work with. [01:32:09] Now it’s so important to add really fresh fun images that breathe life into your content. And let’s take a peek real quick I’ll go ahead and publish this post and images do a lot for your future posts will you post. It just makes them so much more engaging and it also makes people want to actually scroll up and down your post instead of seeing just blocks of words. It just breaks it up quite a bit and when you have images on your posts it also helps with like I said engagement but it tells Google when when you’re scrolling up and down a post that this is possibly a viable piece of information. OK so the way the search engines recognize a viable piece of information or content is if you take the time to scroll in if you scroll below the fold which is anything below right when you scroll down anything that you can’t see below the fold that that tells the search engines that this is actually a good piece of content because someone’s taken the time to actually scroll down the screen or your post. Ok awesome let’s go ahead and add our last post here. So we’ll head back to our content for her. Close this out. [01:33:33] And as you can see I’ve gone in reverse chronological order because that’s the way the blog updates. [01:33:39] And you’ll see what I’m talking about a minute grab our article head back to the dashboard posts and then added new paste or article in and we’ll go ahead insert in our title page that in category starting with wordpress. [01:34:13] Looks good. 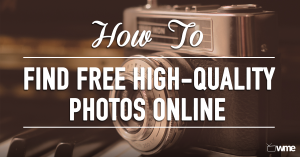 Our images website outline and media upload files should be a pro at this. Now this is super easy to do. So we’ll head back to desktop content folder and search into post. [01:34:34] Let’s go ahead and adjust the size real quick. So 9 right. It was 900 custom size update looking good. [01:34:48] And then one more right here add media upload files. [01:35:04] Insert into post or just this real quick 600 custom size up day. [01:35:18] All right. Awesome you guys ready. You’re going to love this. Watch how easy it is. [01:35:29] All you do. Paste in your your all of your YouTube video. [01:35:36] And I’ll show you that in a second. And you just up or publish the post. And then view post. [01:35:51] Awesome right. Very very cool. And this is just a little fun video of like a WordPress overview. Pretty cool right. [01:36:00] So in order to do that all you would do is grab the URL of a YouTube video. OK. So that would look something like this. So the YouTube video up here the URL. You copy that. And then you just paste it in. So anyway let’s take a look now at all of our posts. So refresh this page. Whoops we forgot to add our featured image here. So what we’ll do is head back in. And then. Edit post. Set featured image. And thumbnail. Yes. All right said feature an image we are set to jet. We’ve got all of her posts now. Love it. All right so update this bad boy. And now we’ve got our blog squared away or at least the start of it and we can change this up to towards a different format. So we’ll clean all this up. But for now we’re just getting the content squared away. And we’ll clean up the functionality a little bit later. So don’t worry we’re going to make this thing. Awesome. Refresh the page. There we go. So we can head back. You see our categories here starting with wordpress content marketing converting traffic into sales. And remember when you start to add more posts and you choose the categories that are associated which with each individual post you’ll start to see say you have three or four in content marketing and someone wants to see this they click on this first post they’ll start to see Related Posts specific to this category which is very powerful because it highlights additional content that they might not have been aware of. Which is really cool. OK so now let’s head back to the home page of this site. And we’ll go down to WTC customers. Make sure that all looks good. It looks like a lot of work there doesn’t it. Like we’re tracking the Mt. Everest. Trust me it is a lot of work but don’t worry. With me is your guide. You’re going to love the journey and the view of the top is going to be killer anyway. But yeah this is going to require some work but guess what it can take you a fraction of the time to learn and apply. This is the best of what I know. It’s taken almost a decade of trial and error not only to sort this information but to figure out what works and is ultimately sustainable. You can apply this based off my experience in a fraction of the time. Sound good. Awesome. OK so now we’ve added three posts here which has really started on our blog. Now if we’re thinking James I’m never going to have a blog. I’m not going to write content or I’m just not good at that. I get it. And I was there once too. But today is your day. Time to show up and get that blog dialed in you’ve got to deliver to your people. Consistency always wins even if you post just once a week just once a week. It’s that simple. I know it sounds like some work but you’ll look back and be like wow we’ve created all this content. And I tell you from doing this for years now there has been times when I stop consistently putting stuff out there. And man did I regret doing that. So you’ve got to be consistent and follow through and to deliver to your people consistently. OK. There are no excuses. With the resources that I’m about to show you. So you can head over to five or dot com and search for blog writing or head over to up work dot com in search for blog writing and these are freelancing services to get you up and go in so you can focus on the bigger picture of your biz. You can get started with some good writing for as low as five bucks an article. It’s really cheap and it’s just a great way to get started. If you just don’t want to write ok and remember like I said left foot right foot left foot right foot. Consistency. I know I’m digging into that but it’s so important. So in terms of your actual blog post article should be around 500 to 1000 words or longer. You want to focus on one topic per post ideally so one to two key word phrases. And remember you want to break up your post with fun killer images that are engaging as well as listicle or infographics or you know video of course and you want to keep it fresh and you want your audience feeling like I cannot believe this. They are telling me all the secrets and leave them wanting more and wanting to come back for more. That’s how you show up and really make a difference with your content but also how you gather loyal subscribers. Lifelong customers. So always over deliver value and be consistent. OK so now we’re going to add in three services sections or what I like to refer to as three call outs of value now use this area as it applies to your business. So let’s head back to the home page of a Web site and I’ll show you how easy this is to add to our Web site. So let’s click on WTC system and it will take us right back to the home page. Click it again. [01:41:43] Now remember earlier I mentioned that this section must speak to the pain points your audience has having and in particular you’ve got to talk about how you can benefit your audience and do it in such a way that gets them excited to want to work with you. So we’re doing this by explaining to our audience how we can help them and what it can do for their business as long as it’s exciting and compelling and keeps reminding your audience what you can do to help them. It’s really going to help convert your audience into paying customers whether that’s a link straight to an opt in page for lead magnet or a link to a page about coaching or link to grab one of our products and purchase it right off our Web site. OK. So let’s take a closer look at the optimizer theme and get this set up. So all do. Is head over here and they click on customize. [01:42:34] And this is just so easy. Literally like I said just pop in your content in your good to go. [01:42:41] So what we’ll do is head down the front page click that then front page widgets click that then we want to add a widget. And then we want to select blocks widget. And look at this it’s going to add our services sections. [01:42:56] See this area just added so we have three of these and we’re just literally going to pop in our content save and publish. And now we have a services section and then I’ll show you our set up to the pages that go with each one of the services section and link them according to the service. Now if you don’t have these yet perfect create them as if they are already true. This will carry momentum into manifesting that are making them true. So you want to get the ball rolling so just create them or you can copy mine. Remember we always want to focus on where we’re headed not on what we don’t have yet but how we’re moving the needle to meet our goals. So let’s get this set up. OK so the first one we’re going to set up is our lead magnet. [01:43:42] So what we’ll do and this is going to be under Block 1 and I’m going to head back over to our content folder and grab a little content here. So where are the pages. And then this one was WTC lead magnet. Okay and here’s a little snippet. [01:43:58] So I’ll just copy this paste it in Seattle populate right here. [01:44:08] Create a profitable sign. [01:44:10] Now for these little I guess these little these little titles trying to make something that’s compelling sounding that people actually want to read or that speaks to their interests or their pains. [01:44:22] So that’s something to be to consider or be mindful of. OK so let’s head back over here and then grab the little. [01:44:30] Content that goes underneath it and then we’ll just edit content delete that pace that can save and close. There you have it. [01:44:47] So we’re going to actually create a clickable link in here that’s going to link to the page that represents this little call out this little value area. OK. So let’s add our next section which is going to be our coaching area. So let’s head back to our content folder and we’ll go to coaching. [01:45:11] Same thing here and this is going to be blocked to pace that in save and close and there is a coaching area. [01:45:37] So easy right. OK.
[01:45:39] And our last area is going to be one of our products which is awesome because you can take payments right off the home page your site. It’s nuts. This used to take so much work and was so involved and you can literally I’m going to show you how easy this is it’s really really awesome. And we’ll get to that. But let’s add this the Solaria first. [01:46:03] So let’s go to the 10X tool box copy and this is going to be block three piece that in its head back in and save and close. [01:46:33] Perfect. OK. And like I said we’re going to edit these and they’re going to make some of this clickable and here a link to a page for each one of these services. [01:46:45] So always after you’re done editing any this in the Customize section you always want to save and publish. Otherwise your changes won’t populate. So we want to save and publish it saved. And now we can refresh the page. Awesome it all saved. It looks great. Ok cool. [01:47:05] OK before we continue I feel like we just need to breathe a little bit more life in our call our terror services area. So what I what I’m going to do is add three images above each service section and that’s really I feel like it is going to bring to some more pop and depth to the Web site just adding more value. [01:47:24] So what we’ll do is head to front page front page widgets block widgets and this is really easy to do. So like block one and then select an image and upload files select files and then we’ll just go back to this top and then and then I have three images here. These are fortified by 45 pixels. [01:47:48] So our first one will do this one and then insert into insert images perfect the nausea populate here.
] Looking good good on the block to select an image. Same thing. [01:48:06] Upload files select files and we’ll go to a little light bulb the insert into it images. [01:48:18] Awesome. And then this last one right here. [01:48:22] BLOCK three select image. [01:48:34] Insert images perfect awesome looks great so all do is save and publish. [01:48:42] And then we will refresh and take a peek and see what it looks like. [01:48:49] Yes look an awesome. Ok so now what we’re going to do is create a page for this little car out of value or service here. [01:48:58] So we’ll start with this create a profitable Web site so what we’ll do is head up to WTC system that will head to dashboard. And this is literally just like creating a post. So we had two pages and then added new. [01:49:14] And then we’re going to title the page WTC system perfect. Now we’re going to add to our content folder. [01:49:29] And just pop in our content. So actually I’m going to put in the image first. [01:49:38] OK. So there it is. So we’ll add media upload files select files and then we’ll go to there it is right there and this is our lead magnet. [01:49:57] And then we’ll. Insert this right into the page. This is going to be a pretty big image here and it’s always better to go with bigger images. And then you can scale them down. So that’s huge. So what we’ll do is just this quick little pencil to basically half of it so the custom size and then five and then update. [01:50:27] Okay great. Now I enter our content pages and will grab this and then just paste this in right here OK.
[01:50:47] And then bring it up a little bit. So just do backspace. OK good. I got this. Looking pretty good. So what we’ll do is just go ahead and publish this page so you can see it looks like. I’m going to make some more edits to this page to make it more optimize specific for this lead magnet. OK. So will you page. OK. Now we want to get rid of the sidebar here just to tighten up this page show it’s really focal on our lead magnet here. This is where it gets really fun because now you’re going to expand the functionality of your website.. so it set up properly to attract free traffic and share your content with your audience..
You’re going to the love this becaue your going to be adding my favorite free tools that makes this so easy to do..
You’re goning to really want to pay close attention and checkout out these little goodies we are about to add to our website..
Ok once that’s done, we can now start changing the functionality of your site by using something called plugins. Now don’t get scared by the term. Plugins are basically little snippets of code which enhance the functionality of your site and make your website really powerful – and you don’t need any development skills to be able to install them or use them. The Sydney theme suggest some recommended plugins to really enhance its functionality and user experience so let’s go ahead and add these by clicking here. Let’s go over to plugins and then add new. Our first plugin is going to be WordPress SEO plugin by Yoast– a nifty little plugin which will help visitors find you more easily in Google. So go ahead and type it in and click search plugins. Click on the Install Now link, then click on the activate plugin and it will appear in the left hand menu here. So go to yoast and then under general settings it gives you the option to have a tour and watch how to set this up properly if you get stuck. But I’ll show you how to set this up here. Below this, there is a tracking option. Leave that unchecked. Then there is a security option to disable the advanced part of the WordPress SEO meta box. You want to leave this checked. Now go to the Titles & Metas section under WordPress SEO which has several tabs in it. Clicking on it will land you on the General tab. Check the meta keywords checkbox. Under clean up the head section check hide shortlink for posts. Next we’ll look at the title for our homepage. For your homepage, create a static title, description, and keywords. By default the template variables in the title field work fine for most sites, but you can fill this in with whatever is relevant to you. You also need to enter your websites description. When you’ve finished, click on save settings button. Under post types you can see post, page, revisions, attachment, and navigation menus. Simply set titles and meta descriptions for posts, pages, media, and other custom post types. You’ll need to change the title templates where you only keep the actual title element and remove the sitename. This plugin also adds an SEO meta box in your post edit area, so make sure you manually enter title and descriptions for each post, or yoast will fill this in for you. You can pretty much ignore everything else and hit save and you’re done. Ok onto our next plugin which is called WP SOCIALIZER. So we’re going to go back to the plugins menu in our dashboard and we’re going to search for Wp socializer here. This is a brilliant plugin for sharing your content with whoever you want to using the sharing options for different social media – so basically people can like, tweet, pin etc your content through social sharing buttons. Put it this way, if you don’t have this plugin, you may as well be invisible, and you’ll find it that much harder to gain any kind of visibility without having a social media presence, so hopefully you now understand how important this plugin actually is. So go ahead and install that, activate the plugin and then to set it up, just go to settings. You can set this up however you want and you’ll find some good tutorials here that will walk you through the process. Our last plugin is Sumome listbuilder. This fantastic plugin helps you capture visitors to your website through a pop up lightbox which makes sure they subscribe to your email list and come back for more! Basically, this plugin detects the exact moment when a visitor is about to leave and immediately displays a pops up asking for the visitor’s email address in return for your lead magnet! So to get started, we need to add this plugin in a slightly different way than normal. Simply go to http://sumome.com/wordpress and it will take you to a page which will give you step by step instructions of how to install this plugin on your website. So go ahead and follow the on-screen instructions to complete set up. Once that’s installed, it’s going to appear in the menu on the left in your wordpress dashboard under SumoMe. For this particular plugin, you’re going to need to register an account with sumome. So in a new tab, open your website. Towards to the top right of your website, look for a dark blue rectangle (it’s small). Carefully enter your e-mail and password. Next, select ‘Submit’. Next Click ‘Sumo Store’ and find ‘listbuilder’ and click on install to install it onto your site. Now click onto listbuilder and you’ll see a navigation panel on the left handside. Go to services and it will pull up a list of email service providers so you can link your website straight to your email service provider. Simply find your provider and link it up. You can modify the design by playing around with the setting in the design section – it’s pretty easy and straightforward and very intuitive. Ok so that’s it for the plugins. SHARE –- Get up to 20% more traffic with this little tool..
Share makes it so-easy for your visitors to share your content to their friends, family, and others. The more people share your site and content, the more viral traffic goes back to your site. This is a killer little tool for sharing your content with whoever you want to using the sharing options for different social media – so basically people can like, tweet, pin etc your content through social sharing buttons. Put it this way, if you don’t have this tool, you may as well be invisible, and you’ll find it that much harder to gain any kind of visibility without having a social media presence, so this tool will help to address this issue. Love it! 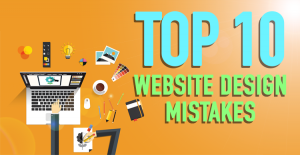 you now have your website properly setup to start capturing free traffic.. In this final section, I’ll show you how to convert traffic into paying customers – a process known as conversion. In less than half an hour, you’ll have your very own ‘set it and forget it’ system ready to turn traffic into leads and paying customers. Adding your photo gallery – A picture is worth a thousand words – Share your brands story though images.. Adding a blog – Know like and trust factor..